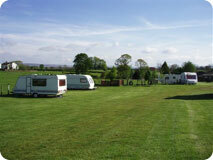 The Caravan Park is open from March to October. Prices for Touring Caravans:- £18 + £2 per awning per night, please contact us for more details. Set in splendid rolling countryside Gallaber Farm is a small secluded caravan park in a peaceful location but just a 15 minute stroll from the lovely Dales village of Burton in Lonsdale which has a well stocked community run shop and Post Office, Church, Chapel and a pub serving very good food, plus an all weather tennis court, a bowling green and a recreation field with swings slides and climbing frame near the beautiful River Greta. 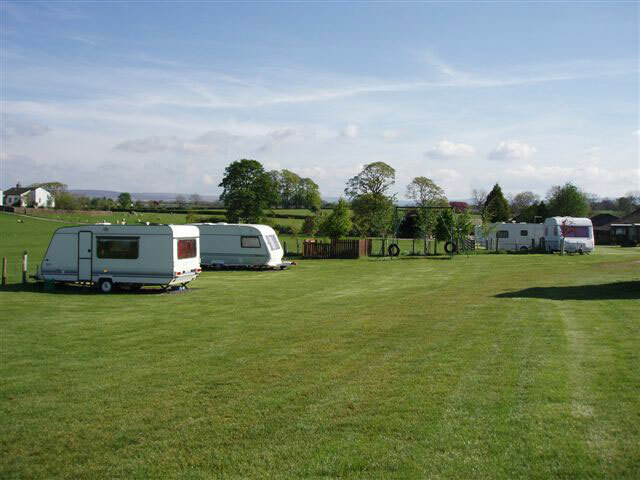 We welcome up to 15 touring caravans and all pitches have electric hook ups and there are a combination of grass or hard standings and every pitch has ample car parking space. 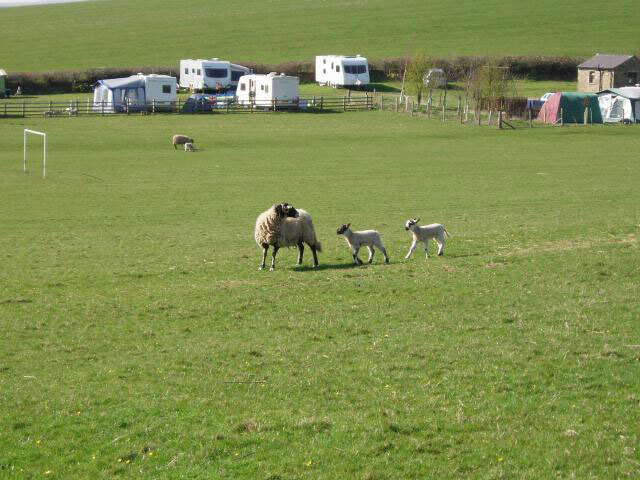 Gallaber Farm is a working beef and sheep farm and many of the animals can be seen from the caravan park. 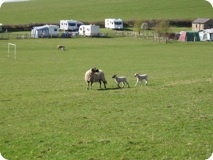 In Spring you will be kept entertained by the lambs and young calves playing in the fields. The farm is an excellent base for exploring being midway between the Yorkshire Dales, The Lake District and The Forest of Bowland and is only a twenty mile drive from the Lancashire coast. The famous Ingleton waterfalls walk, White Scar and Clapham Caves, and the Ribblehead viaduct are all in close proximity as are the majestic ‘Three Peaks’ of Ingleborough, Whernside and Pen-y-Ghent. So we recommend that you bring your walking boots..... and escape! !